When the bite is on, ice fishing can be one of the most exciting winter outdoor activities there are. 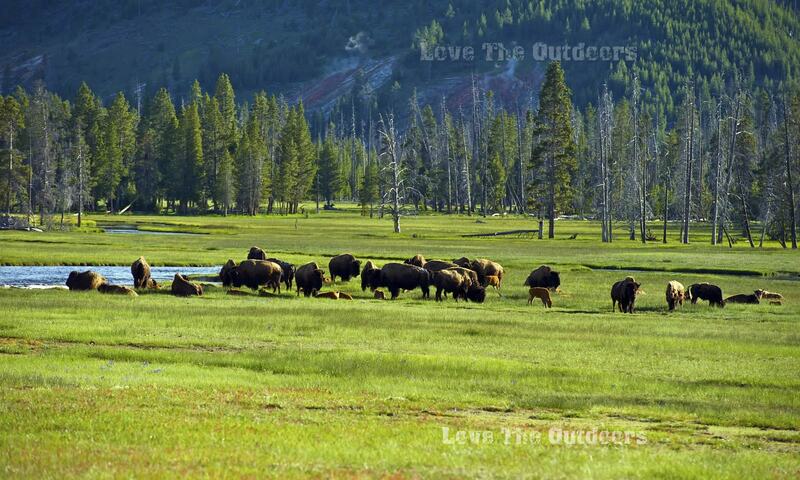 But, unlike the warmer months, the setup isn’t quite as simple as a pole, hooks, and worms. Successful ice fishing necessitates some specialty gear to assist in tackling the sport’s tougher conditions. From cutting through the ice to monitoring your line, these admittedly cool pieces of ice fishing equipment will make your trip much more fruitful. This tool, shaped like a corkscrew, easily punches nice circular holes for you to fish out of. There are two types of ice augers available to ice fishermen – motorized and hand-powered. Obviously, less serious fishermen and those who will be fishing on thinner ice will be able to get by with a manual one. Typically, they run in the one hundred dollar range. Fishermen looking to drill multiples in thick ice, meanwhile, might find it beneficial to splurge on a motorized auger. High quality ones fall between three hundred and five hundred dollars. If you’ve found a pretty large honey-hole while out on the ice, and you want to maximize your fish-catching potential, tip-ups are the best way to get the job done. 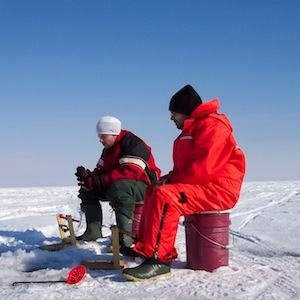 They replace ice fishing poles by acting much like a jug line would, that is, setting off a noticeable flag using a bite-detecting mechanism. By setting up several of them, you can cover many more holes with much less time and effort. At around ten dollars each, tip-ups are sensibly priced tools that will almost certainly improve your ice fishing catch. As cool as tip-ups are, many ice fishermen prefer to do things the old fashioned way. Even though this method might not be quite as fruitful, sitting over a single hole with a pole gives you the control over lure presentation that tip-ups simply cannot. In general, quality ice fishing poles use spinning reels, extremely sensitive rods, and light line. You can pick up a good one for anywhere from twenty to fifty dollars. If you’ve done any wintertime hunting or fishing before, you know that it gets bone chillingly cold sitting there and trying to focus on the task at hand. If the weather’s cold enough to freeze a body of water, it’s also cold enough to freeze you. Most ice fishermen recommend a weatherproof set of bibs and an outer coat. Popular brands include Gore-Tex, Redhead, and Guide Gear. This really cool piece of ice fishing gear isn’t exactly a necessity – unless you want to catch loads of fish. Using one, you will be able to locate schooling pockets of fish without having to drill holes on a hunch, hoping to get lucky. Though boiling ice fishing down to an exact science like this isn’t for everyone, result-oriented ice fishermen swear by the function of portable sonar. Thanks for another magnificent article. The place else may anyone get that type of info in such a perfect approach of writing? I have a presentation subsequent week, and I’m on the look for such information. whats the best floater suit like mustang to get ? money isn’t an issue i want the best.